This stunning frame is made of poly resin and finished in a burnt sienna color. It features two 3D elephants at the bottom of the frame standing with raised trunks. 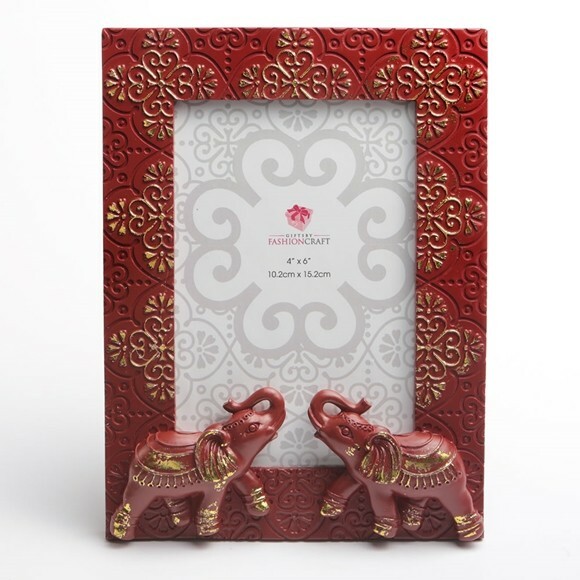 The frame and elephants are enhanced with a glorious gold brushed finish. The frame holds a vertical 4x6 picture. Each comes packaged in a white box. A stunning gift idea for an elephant collector.